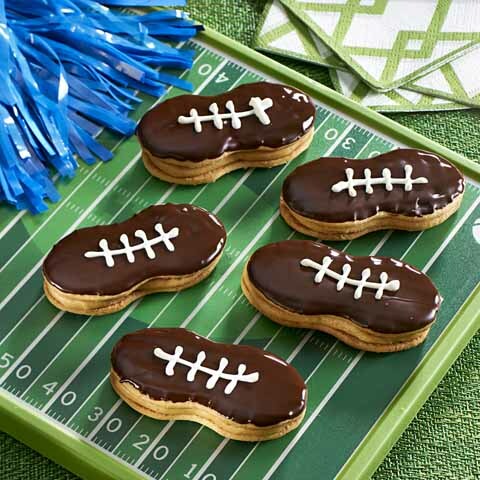 Use serrated knife to cut football shape from 1 graham; decorate with icing to resemble football. Cut remaining grahams crosswise in half. Beat cream and sugar in large bowl with mixer on high speed until soft peaks form; spread 2 tsp. onto each graham square. Stack 12 graham squares for base of goal post; place on tray or baking sheet. Stack 20 of the remaining grahams, then place crosswise at top of base. Use remaining grahams to make 2 stacks of 10 grahams each; place at end of each crossbar to resemble goal post. 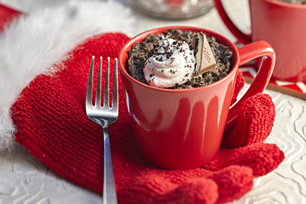 Frost with remaining whipped cream. 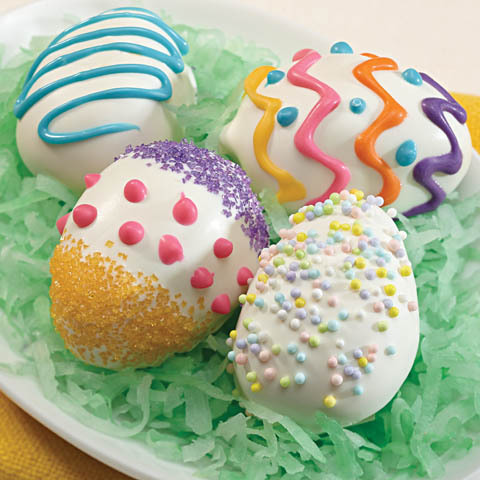 Decorate with sprinkles to resemble photo. Refrigerate 12 hours. Place decorated graham football between goal post just before serving. Cut into diagonal slices to serve. 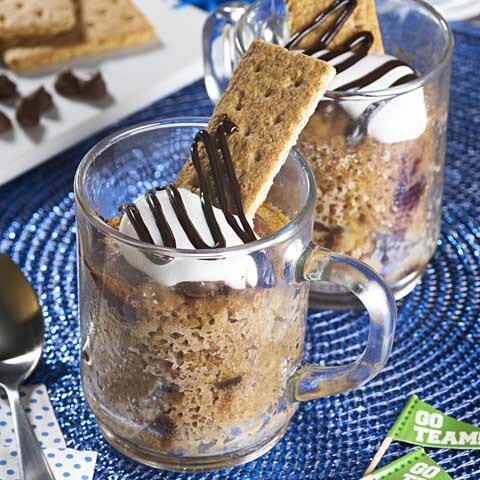 Size WiseMake game day a big hit with this special-occasion dessert that's guaranteed to please all fans! Jazz it UpFor added color, cover goal post with 1 red fruit roll-up sheet. 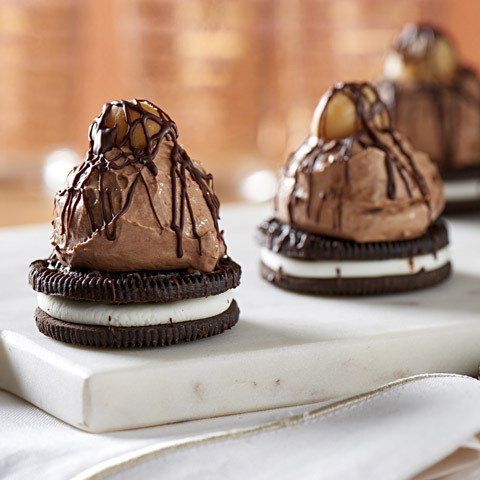 Remove roll-up before cutting dessert into pieces to serve.